A Web Desyne and development Company, founded by Elizabeth Hightower in 1994, and located in metro Atlanta. Elizabeth combines 23 years of web development with extensive knowledge of the internet to provide our customers with highly effective and professional web sites. Elizabeth has developed a wide range of websites, from E-commerce, to Entertainment, Corporate, Medical, Financial, Real Estate and Non-Profit. Strategic marketing-oriented approach. We work closely with clients to deeply understand the nature of their business, their target market, goals, competitors, and the objectives for their websites. We are a one-stop shop for everything website related; design, web development, Internet Marketing, SEO, website hosting, domain registration, and more. We are equipped to address issues and problems quickly and expertly. We take the time to educate our clients about websites and the pros and cons of various strategies, in order to help them make smart choices about their projects. In the meantime we take care of all the technical aspects. We create SEO-friendly animation elements using HTML 5, jQuery & CSS that are able to make lasting visual impression on your website, yet not affecting your SEO ranking and marketing strategies, opposed to some Flash elements. Elizabeth has 23 years experience in web design and development. Formerly the webmaster for Perimeter Church for eleven years, and a contract developer for seven years with the North American Mission Board of the SBC, Elizabeth is now seeking freelance opportunities, and is offering personal webmaster services. 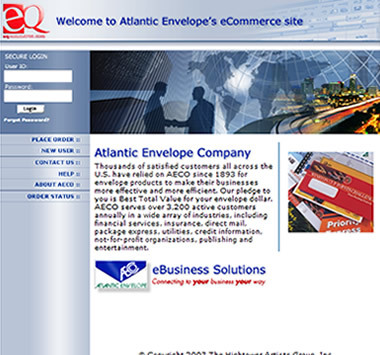 A few of her clients include Saint Joseph's Hospital, Georgia Perimeter College, and Atlantic Envelope Company. 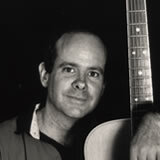 John has a degree in Journalism from Georgia State University, and as a former newspaper reporter, he provides copywriting and editing services to the Hightower Artists Group. John is also a guitar instructor at the Academy of the Arts in Suwanee, and performs on the weekends. The Hightower Artists Group, Inc., is a web DESYNE and development Company, founded by Elizabeth Hightower in 1994, and located in metro Atlanta. Elizabeth combines 23 years of web design and development, with extensive knowledge of the internet to provide our customers with highly effective and professional web sites. 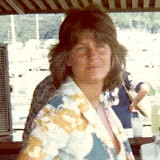 Elizabeth was the webmaster for Perimeter Church in Duluth, Ga. for eleven years. She also worked for the North American Mission Board as a contract developer for seven years, where she was the webmaster for Evangelism and Church Planting, as well as many other major web projects. 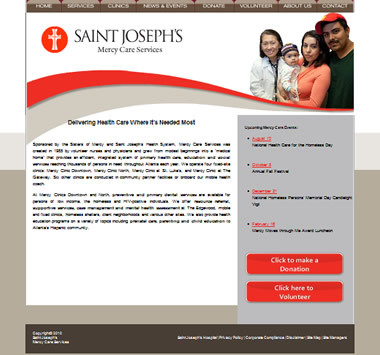 Recently she has been a contract developer for Saint Joseph's Hospital and developed sites for several marketing companies. The following are just a few of the churches, organizations and companies, Elizabeth has had the previledge to have worked with over the past decade, to provide unique, professional, cutting edge websites. For samples of our work, please see our portfolio. To learn more about Elizabeth and how she has served our clients, please see her references, which are tesimonials to her character and work ethic. People form an opinion about your company, church or organization in just seconds, based on your website. Do you look professional? 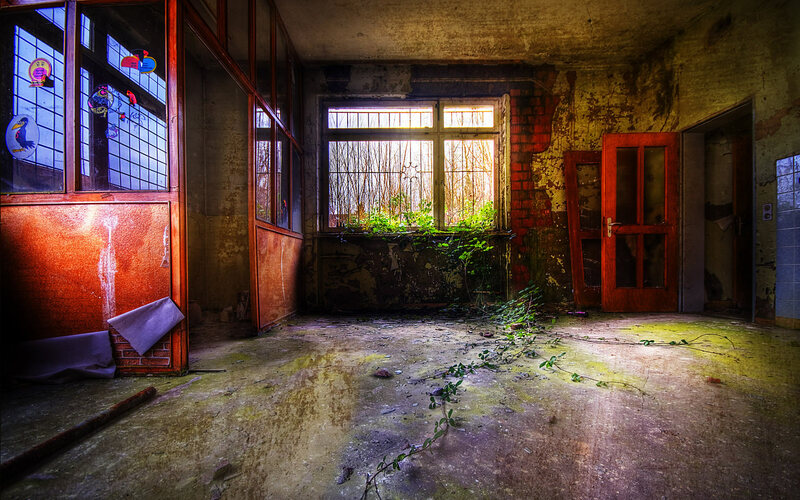 Stable? Capable? Does your website visually support the claims you make in your copy…or does it detract from your message and work against you? 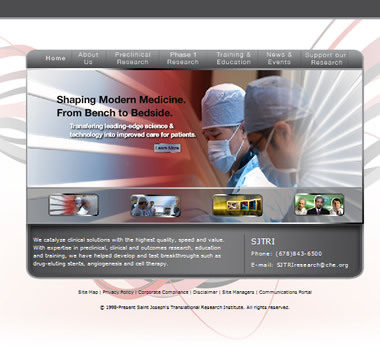 At siteDESYNE.com, our website designs are original and totally custom. 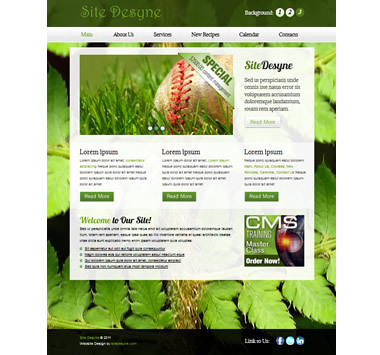 We work with you to represent your company or organization's web presence with a professional and user-friendly desyne. We expect to give you value-added service, and will strive to give you total satisfaction in the development of your new website. Media: This site is currently under development with a custom content management system, custom search filters, jQuery slider as well as an ecommerse store. This site is currently under development with a content management system, custom data search, rotating backgrounds, and jQuery rotating animated slider with text and images. The former site was built in Drupal. 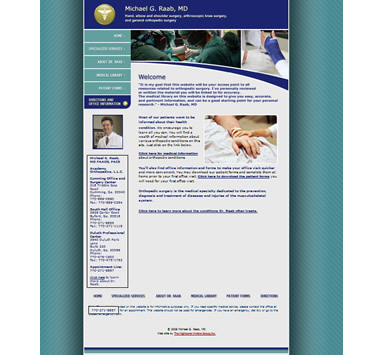 This new site design was developed in LiveSite content management system, and features Flash animation, a health library, custom Google maps and custom forms. The former site was built in Drupal. This new site design was developed in LiveSite content management system, and features a custom menu and Flash animation. This site was developed in LiveSite content management system, and features a custom menu, custom Google map, and Flash animation. This site was developed in a custom content management system, with multiple sliding animations and ecommerse. 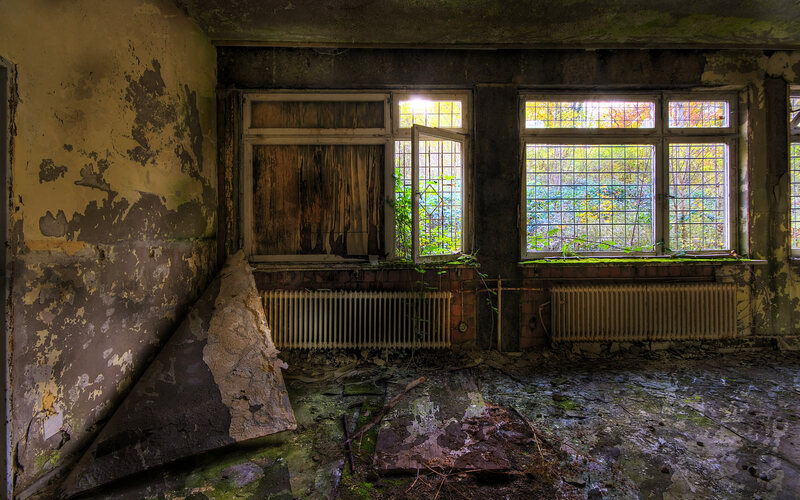 This static site has served Dr. Raab for many years. 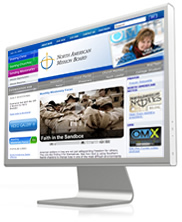 This site was developed in a custom content management system. This site is available for your Photograhy project. 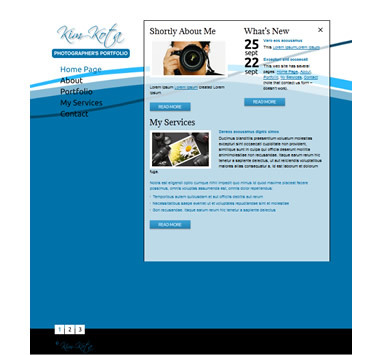 This site design with customization is available for your project. This site was developed for an intranet store. This is a static site built in Dreamweaver. This is a database application in ColdFusion. 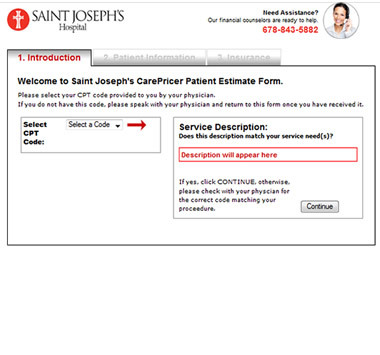 Based on a code provided by your doctor, this application quotes prices on particular proceedures. Design Available: This site has a Youthful Theme. 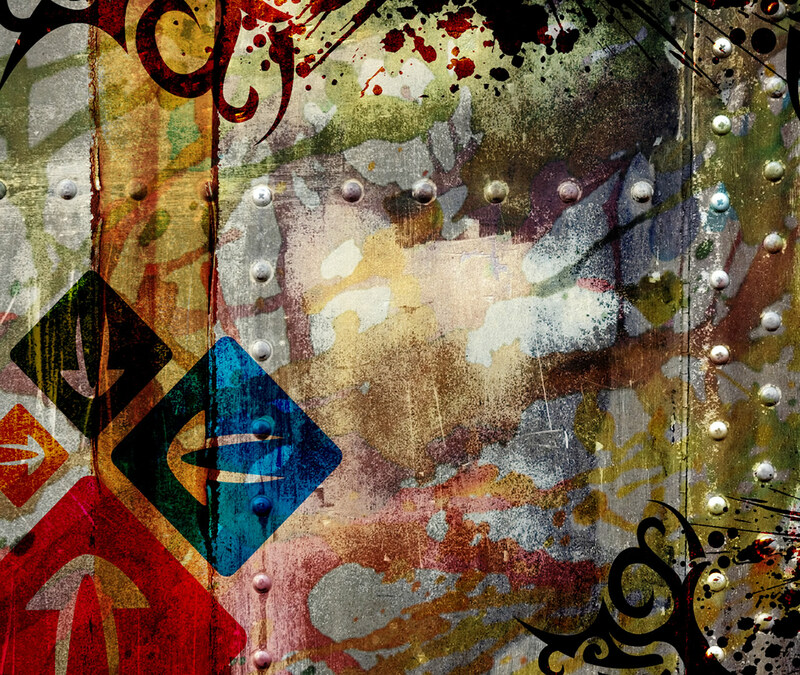 This design is available for your project. Click each thumbnail for larger image. Elizabeth is a highly-creative and highly-skilled Web designer and developer. I had the distinct pleasure of working with her on a number of different projects at Saint Joseph's Hospital, including some that were critical to the success of our marketing programs. Each and every time, she has exceeded our expectations. I consider Elizabeth to be a trusted adviser and a critical part of our marketing success. I would not hesitate to recommend her to anyone looking for an expert Web developer. 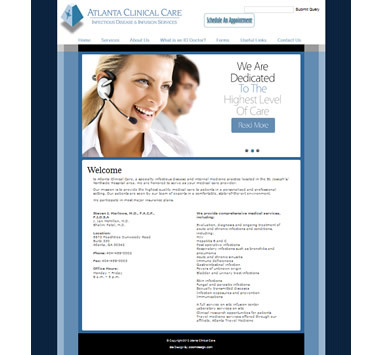 The new mercyatlanta.org website is fully completed as described in your project contract dated 4.10.14. The staff at Mercy Care is grateful to you for delivering an excellent product and for executing of the contract with such attention to detail, expertise and oversight in solving blackbaud integration issues and most importantly for your gracious professionalism throughout this fast paced project. I wholeheartedly recommend working with Elizabeth Hightower. She built a robust website using Live Site and trained me as an administrator. I found her to be patient, clear and supportive with a goodly dose of humor. We work together on the more complicated updates to the site and she is very accurate and quick to make requested changes. She has extensive programming and content management knowledge and yet working with her I feel comfortable asking a full range of questions during our over the phone training sessions. Her rates are more than fair and she is easy to work with as a vendor. I would highly recommend The Hightower Artist Group. Over the past 11 years I have been working with Elizabeth Hightower and her company to fully support our website and web-based applications, including a content management system, web store, forms, registrations and a variety of e-commerce needs. Four years ago Elizabeth designed and has since supported our weekly e-newsletter, the Pulse. Most recently, Elizabeth has been developing a web-based project management application to help us better manage our communications projects, vendors, and bidding process. I can say without hesitation or reservation, I've not yet met a person who can meet the level of passion and commitment that Elizabeth has demonstrated consistently over these many years. I have so enjoyed the working relationship that has developed and truly see Elizabeth as a true partner and team member to our organization. Her tenacity for excellence, perfection and satisfaction are her strongest assets. Once she has been turned loose on a project, you can trust she will do her best to meet or surpass expectations. I can't tell you the number of times that Elizabeth has been approached at the 11th-hour and pulled it off. As anyone in marketing communications knows, "clients" will occasionally come to you with near to impossible deadlines or requests. It is during these critical and intense moments I have been thankful to have had Elizabeth on the team. 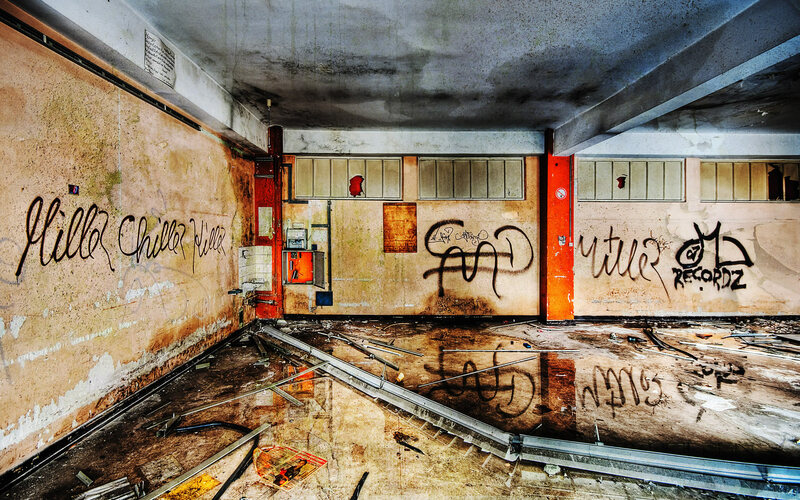 I would welcome the opportunity to personally share my experiences with the Hightower Artists Group. Please feel free to contact me at 678-405-2222, or randyr@perimeter.org. As a developer who works with the backend programming aspect of web design I have dealt with many web designers over the years who create attractive designs that are nearly impossible to turn into real websites. Elizabeth stands out from the pack. I've worked on many projects with her and she has a phenomenal talent for creating beautiful, functional websites that work superbly with dynamic content. I've seen her designs work well on websites as small as a few pages and also massive projects spanning many domains and thousands of pages. You will be hard pressed to find someone with her talent and experience. Elizabeth serves a crucial role as a contractual web developer for the North American Mission Board since 1998. One of the biggest benefits we realize with using Elizabeth is versatility. She is extremely strong in designing clean, and elegant web interfaces. She is meticulous with the day-to-day details of content management. Her technical scripting skills give us the ability to integrate more sophisticated functionality into our sites. Her resourcefulness in finding solutions to problems has helped us immensely. In terms of personality, Elizabeth has a servants heart, and always gives 110%. I would highly recommend Elizabeth to any organization looking for a quality web professional with integrity. 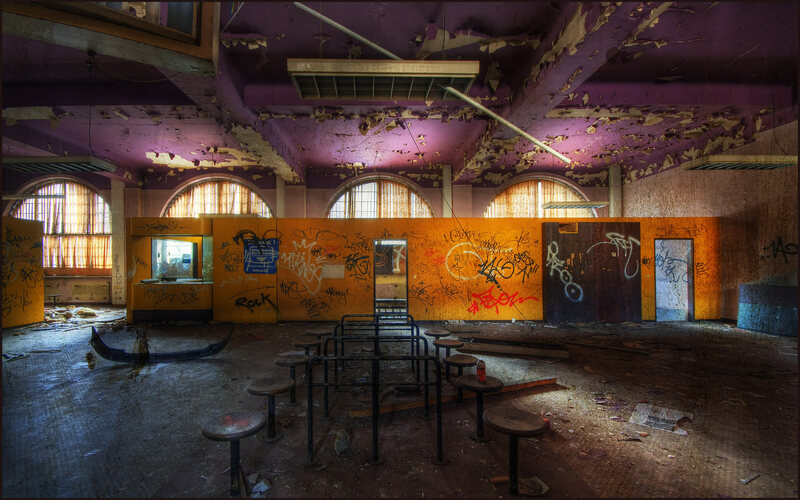 Elizabeth Hightower's ability to capture the elements of creativity needed for our arts school was phenomenal. I was thrilled with the very first example she showed me and we were able to expand upon her framework from that point on. Elizabeth consistently went to bat for us and went above and beyond what we asked - showing us various methods of producing our site using different web-site techniques and applications. Her eye for detail is matched by her creativity and technical know-how. That's a rare combination! 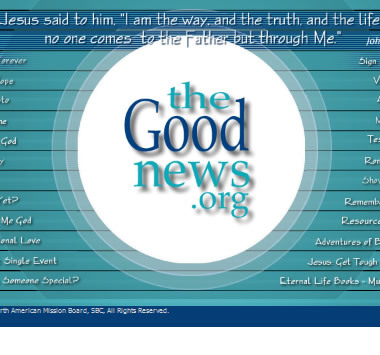 I am writing this letter of reference on behalf of Elizabeth Hightower of Hightower Artists Group, Inc. Elizabeth has been under contract with the North American Mission Board (NAMB) of the Southern Baptist Convention (SBC) for almost 7 years. While I have only been managing her contract for the last 3 months, I have found her work to be of consistent high-quality, and always on schedule. Elizabeth does a very professional job, and has done so on many projects critical to the success of NAMB. Elizabeth is tremendously loyal, and hard worker, with a terrific attitude. I would gladly recommend her for any internet related work for which you may be considering her. I am writing to commend Elizabeth Hightower to you. She has been an exemplary contractor for me since October 1998 at the North American Mission Board, SBC. She has an excellent servant heart matched with creativity and technical skill. I anticipate many years of working cooperatively with her giftedness. I am writing to commend Elizabeth Hightower to you as you consider how her skills and abilities can specifically benefit your organization. Elizabeth served as a contract worker with the North American Mission Board for several years. I was one of the "content originators" she worked with during those years, specifically on the development/maintenance of the www.AnnieArmstrong.com Web site. As someone who uses the Internet on a daily basis for business matters as well as personal research, I have visited sites that are user-friendly and well-designed and others that I quickly clicked away from because they were confusing. Elizabeth and I have worked well together in making the Annie Armstrong Web site effective from a user's perspective. As Elizabeth has worked her technical expertise to make the content I write look great on the screen, I have been thoroughly impressed and wonderfully pleased at the quality of work and the attitude in which she serves. She gives excellent attention to detail and is quick to respond to any questions or concerns. She has always met deadlines and expectations and has a strong work ethic. I highly recommend Elizabeth for consideration in Web design and maintenance. If I ever had the opportunity to work with her again, I would count it a privilege to do so. Our company, Berkshire Products, Inc., started doing business with the Hightower Artists Group in May of 2000. 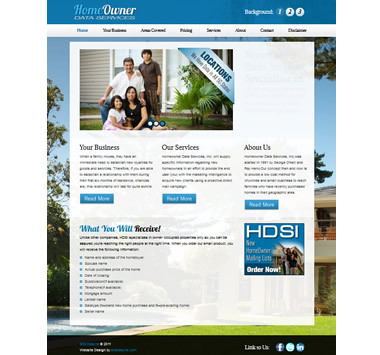 They did a completely new design of our site that was done on time and for the price quoted. We have been very happy with the overall site and our customer feedback has been very positive as well. 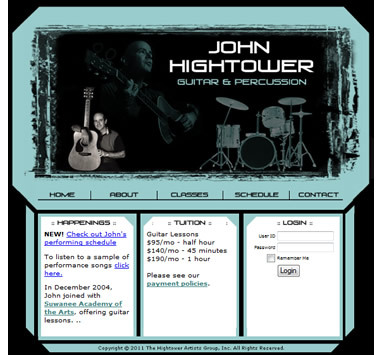 Since then Hightower has maintained and done upgrades on the site. All requests have been processed in a very timely fashion and the work has always been very thorough. We would not hesitate to recommend them for your project. I would highly recommend Elizabeth Hightower to fill the role of a Web Developer or Web Master. She is not only an extremely talented web developer, she is great about communicating and letting you know where she is on a project at all times. She has handled projects for us from the beginning to the end, and is great at communicating with clients as well. Elizabeth is extremely fast, is a very hard worker and has a great attitude. She is an incredible asset to our company, and has been a joy to work with. We begin with a consultation to determine the graphical and functional needs of your site. We listen to you. If you're not sure what you need, no problem - we can advise you and make suggestions. We then identify the technical resources required to meet those needs, and work out with you an estimate for the best cost/benefit approach. If desired, we act as your agent in obtaining a domain name(s) and we offer web hosting to clients who wish to use our ongoing webmaster services. We then work with you to develop the content and/or page outline for the site and navigation schemes to meet the needs of your target audience. Finally, we develop a graphical composition (comp) of your homepage and sub page, to your specifications, working closely with you to achieve the "look and feel" you want for your site. For content management systems, we develop a graphical comp of the template to be used throughout the site, and will discuss any aspects of the CMS that will pertain to your specific needs. We do this in a private work area of our own site where you can watch and critique the process. 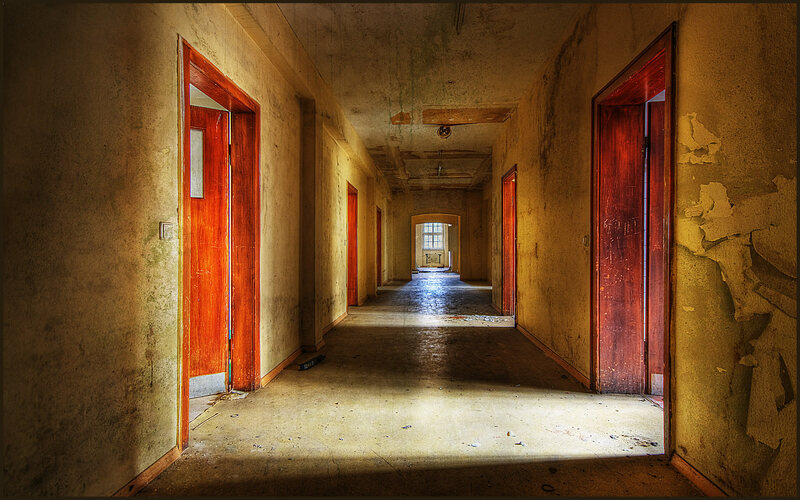 Only when you are satisfied do we transfer the work to the 'live' site and open the doors to the public. NOTE: To insure that our quality work is done in an efficient and productive manner, we request that the content you provide to us, is "final content," and when approvals are given to the comps, that they are final approvals. We use the content you provide to us, to populate and build your site, and this is done only after the graphical design comps have been approved, and the HTML version of the first page has been approved. Therefore, if changes to the copy, photos, or structural are needed after the work has already been completed, there will be an additional hourly charge for changes to final content. We can provide services ranging from total redesign and reconstruction to minor facelifts or addition of new functions or pages using your existing designs. We will confer with you to understand the desired changes or extensions and analyze the existing site to identify what will be required to accomplish them, including the impact on existing code or systems that are to be retained. A small fee is required for this analysis. If continued operation of the site during upgrade is required, we will develop a plan for phasing in the modifications without interrupting use of the site. 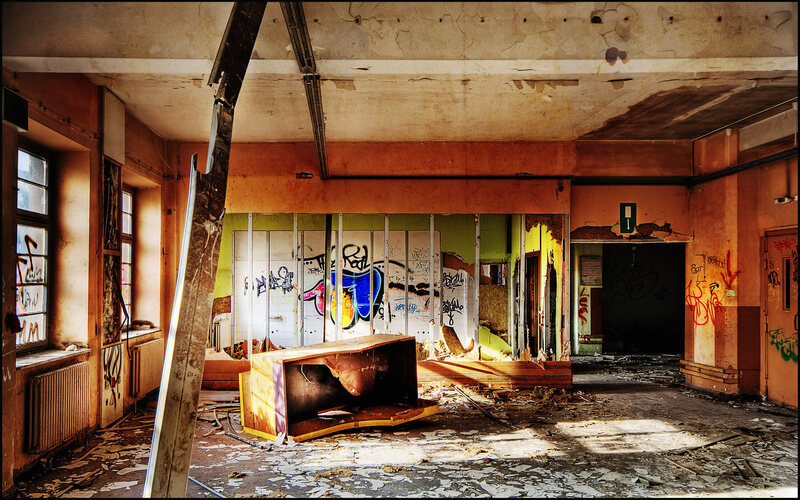 Some sites require little if any maintenance; others need regular updating or supervision. Often this has more to do with functionality than size. We offer pre-paid monthly maintenance plans on an hourly basis, that provide a savings for sites that require them. For sites that require only occasional work we are available by the hour on-call. Our proprietary content management system, is the "next generation“ in website solutions, complete with all the building blocks you need for today’s Web 2.0 sites and beyond. Our CMS empowers you to delegate web management to any size staff, so they can securely update their own pages, menus, ads, multimedia, calendars, blogs, photo galleries, forums, web forms, order forms, stores, payments, dues, donations, and e-mail subscription lists with ease. LiveSite is completely web-based, so you don’t have to mess with installing and updating software on your desktop computer. No FTP software or plug-in is required. Work from the office, at home, or on the road. Your staff has instant access to update content and access features from any computer connected to the Internet. LiveSite includes a full-featured WYSIWYG word processor that makes it easy for anyone to add text and photos. If you select to have us develop multiple templates, you can then select from your list of pre-built interactive page types and LiveSite does the rest – creating the underlying database fields, tracking, and reporting capabilities. Custom desynes can be created by The Hightower Artists Group, Inc. Please see www.sitedesyne.com. LiveSite was designed to include accommodations for persons with disabilities and is compliant with Section 508 of American's with Disabilities Act and the Web Accessibility Initiative developed by the World Wide Web Consortium. 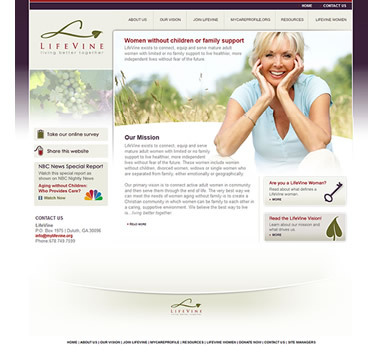 With a proven track record of managing websites for small organizations to large enterprises, LiveSite was designed to grow with your organization’s changing needs. We offer training, and are available to customize your LiveSite software for your specific needs. Powerful Content Management System allows you to create, publish, manage, secure, and update website content easily. Not only can you manage and update your public website pages, you can also create and manage private site areas for your staff, customers, members, or partners to access. Create secure micro sites within your website for groups of users and redirect them automatically to their micro sites’ home page when they login. Allow visitors to search your website. Only content that the visitor or user has access to will be displayed. Content editors can even specify which pages are included in the search results. Post current news articles to your website, intranet, or extranet. Create calendars for your website with complete control over who can update them and who can view them. Calendars can be displayed in several formats, and visitors can overlay calendars or drill down into specific event details. 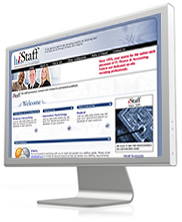 Add a staff directory to your website, including photos and contact information. Put your membership directory online and protect it behind a login so that only authorized users can access it. Upload your photos and create your own photo galleries and custom slideshow pages. Make any file available for download from your website. Control access to downloads based on a user’s privileges or automatically after an online purchase. In a single step, you can upload and link a photo, audio, or video file to any web page. Create shared content and menus. Edit the shared content in one place and all pages are automatically updated. This feature allows you to keep your website interesting to frequent visitors by rotating several home pages. Place rotating ads or promotional information on any page of your website. Add relevant web links to any page on your website and add dynamic link catalogs. Built-in WYSIWYG Editor (What-You-See-Is-What-You-Get) makes it easy for your content editors to quickly add text, photos, and links to other web pages without HTML knowledge. Integrated spell checker corrects misspelled words. Control access to all your electronic documents and prevent unauthorized “deep-linking”. Share files with your staff, members, customers, or guests, allowing them to view or download the files from their own location. Save time by uploading many photos and document files in a single step. Store and stream audio or video from any page on your website including: Flash, SWA, WMA, WMV, MOV, MPEG, and other standard multimedia file formats. Create secure and access controlled repositories for your multimedia and photos. The integrated contact database is populated and updated automatically. Segment contacts into groups and delegate access to specific users. Allow registered website users to add and remove themselves from one or more mailing lists at any time. Allow your registered site visitors or members to opt-in and opt-out of any number of e-mail lists through their online account at any time. Flexible access control over contact groups and mailing lists mean you can restrict access and delegate management and e-mail broadcasting. Upload your existing address books from Outlook, Google, Yahoo!, ACT!, customer database, or CRM system. Save postage and printing by e-mailing your newsletters to any number of mailing lists. Duplicate addresses and opt-outs are handled automatically. Registered users can login and update their contact information and preferences at any time. Keep your presence known by broadcasting full color HTML e-mails with clickable menus, links, and photos. Schedule a future date and time to send your e-mail campaigns and they will be sent unattended. E-mail recipients can add or remove themselves from any mailing list instantly by clicking the link included with each e-mail message sent. Attach offer codes to any web page link and customers will not have to remember to enter the order code during checkout. SPAM filters also trap legitimate e-mail from third-party mail services. Optionally route your campaigns through your organization’s mail server for higher delivery rates. Easily manage orders for shippable merchandise, donations, payments, recurring fees, perishable goods, and gifts to multiple recipients with a single e-commerce solution. Built-in shopping cart features allow you to create simple or complex secure shopping and checkout processes. Products can be displayed on order forms in many different ways, depending on the eCommerce application. Link any number of order forms together to guide customers through specialized order processes. E-mail personalized quotes or saved carts that can be updated by both the customer and your sales team. Create product and service catalogs for browsing products by brand, type, price, or other groupings. Enhance product sales with photos and formatting using the WYSIWYG Product Editor. Payments are deposited into your bank account automatically through a real-time secure gateway after the purchase card is checked for fraud and available credit. Allow your sponsors to securely contribute a one-time or recurring donation to one or more funds using their credit or debit card. Automatically charge a debit or credit card for recurring service fees over a period of time. Sell access to private site areas, content, micro sites, downloads, documents, or multimedia. Access can be granted automatically upon online purchase. Offer downloadable goods such as software and e-Books. Once ordered, a link to the protected downloads can be send via e-mail automatically. Easily handle multiple shipping addresses and shipping methods per order, and even warn the shopper if arrival before a special date or occasion cannot be guaranteed. Specify how each product is shipped, how quickly each must arrive, and limit the shipping destinations and PO Box deliveries. Create discounts for preferred customers or to move certain products. Special offers can be based on offer codes, products, quantities, key codes, or date ranges. Billing and shipping information is pre-filled automatically for returning customers. Products and offers can be displayed based on products placed in the shopping cart. As products and quantities change, new deals can be continually offered, increasing sales. Visitors can easily return to your website and retrieve saved carts, incomplete orders, or unprocessed donations. Collect custom fields during checkout for specialty products and services. Tax can be applied by product, state or province, country, or shipping method. Sell tax-exempt items and manage orders from resellers or non-profits. A personalized address book is created for each customer so shipping addresses can be recalled instantly. Display a customized order receipt and optionally e-mail product-specific information for each product ordered. Specify an e-mail address that will receive an e-mail copy of any orders that include a specific product. Customers can login and update their contact, billing, shipping, address book, and e-mail preferences in one convenient location. Manage sales affiliates and partners that drive traffic to your web store. Flexible commission rates can be set for each affiliate and/or product. Affiliates can login and track their commissions in real time. Simply point and click to build custom web forms to capture data into a secure database. Add workflow and required fields to your web forms. No programming is necessary. Make your web forms available to all visitors of your website, or place them behind a login so that only your staff, customers, members, or specific users can submit them. If you are collecting sensitive personal or financial information, you can encrypt any web form. Restrict access to any collected form data for total security and control. Build your own custom data views from any captured form data. Add these views to any page and restrict access to them. No programming is required. Quickly link web forms together to create sophisticated registration processes. A unique reference code is assigned to each submitted form for tracking and auditing. Create a survey to gather feedback from your customers or members. Coordinators can be notified via e-mail when surveys are received and view results within a spreadsheet. Create online quizzes or tests and even display a certificate for those with a passing score. Add contact forms to your website to capture and route requests. Contacts are automatically added to the contact database and auto-responders and notifications are e-mailed. Let visitors post notes on your website. Allow guests or members to post items of interest for others to read. Connect any web form to the contact database to automatically pre-fill form fields and update the contact database. 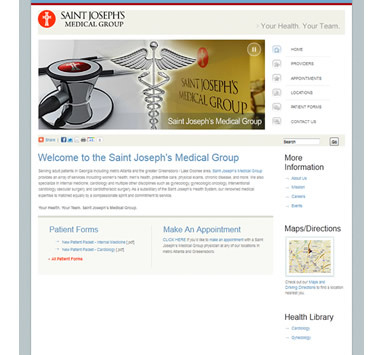 Allow visitors or members to sign up for events online. E-mail event information to the submitter automatically and notify the event coordinator when a registration is completed. Web forms can accept file attachments that are automatically uploaded to the web server and secured in the file repository. Intelligent profiling reports each visitor’s IP address, referring website, search engine, keywords, landing page, tracking code, offer code, number of page views, and whether they submitted a form or started an order. Track all user actions and updates to pages, files, forms, products, users, contacts, and campaigns. Create a spreadsheet or text file of all orders by number, product, date range, customer, recipient, or transaction id, making fulfillment easy. View submitted form data online or in a spreadsheet. Additional tracking information can also be viewed including the submitter’s IP address, reference code, timestamp, and user account. Filter and view contacts by status, keyword, field, date range, group, or mailing list. Contacts can be viewed online or exported to a spreadsheet. View all sales commissions by affiliate code and order in one place. No desktop software to deploy and maintain across your organization. Access to all features and content is assignable, allowing you to delegate any aspect of content and site management to others. Users can update their own information, preferences, and request lost passwords without intervention. Content and features are hidden and secured automatically from users without authorization. Flexible access control to features and content allow you to setup custom levels of access for Web Designers, Site Managers, Campaign Managers, eCommerce Managers, Mailing List Moderators, Content Editors, Staff, Members, Customers, Guests, and Visitors. Import your member database and create members-only site areas where members can login and securely update their contact information. Prevent unauthorized “deep-linking” by requiring users to authenticate before granting access to protected web pages, files, documents, forms, calendars, or data views. Create endless combinations of menus and submenus for site navigation and add security to them. Secure Socket Layer encryption is integrated into eCommerce features but can also be enabled for all features and access for ultimate in website security. Create a subscription-based website and grant access to private web portals, downloads, or data automatically upon online payment. Optionally expire access after some period of time. E-mail links to downloads, instructions, directions, or simple “thank you” notices automatically after a form has been submitted or an order has been placed. Notify coordinators, sales, or support representatives when web forms are submitted, orders are placed, users register, etc. Also trigger third-party e-mail applications. Connect pages and forms together to create custom registration or order processes. Route customers and sponsors to custom post-sale processes based on specific items purchased. We can create different templates, page layouts, menus, and shared content for your intranet, extranet, member portal, storefronts, and public website, at an additional cost. Design is separated from content and management to protect design elements and reinforce design across all sections of the website. All design elements including interactive forms and pages, buttons, menus, and system messages are stylesheet-driven, making it easy to integrate your own designs. Force a consistent “look and feel” across all pages by specifying styles and restricting fonts and colors within the WYSIWYG Page Editor. Every page is optimized to attract search engines. Site-wide default meta tags are inserted into all pages. Content editors can add specific meta tags to any page individually. Complex database URLs are automatically replaced with clearly labeled links so search engines can effectively crawl all public pages and better rank the website. Create landing pages for your e-mail campaigns, product announcements, affiliates, and click-thru advertisements. Track each visitor by the search engine and keyword. Backtrack to view the specific page that the visitor was on before arriving at your website. Track results from search engine advertising including Google AdWords, Overture, and MSN. Compare pay-per-click vs. organic referrals. Import your existing mailing lists from a spreadsheet or text file into the contact database or filter and export mailing lists into a text file or spreadsheet. Import your Microsoft Outlook address book, or contacts from a text file, or spreadsheet. Filter and export contact groups into a text file or spreadsheet. Import your back-end membership database using a simple text or CSV file. Import form data, such as a directory, and display the data on any page. Export submitted form data into a CSV or spreadsheet file for importing into a back-end database. Orders can be filtered and exported as multiple CSV files for importing into accounting systems, or as a single spreadsheet file for easy viewing and manipulation. Add a link into any third-party web analytics program or service. To provide our clients with superior SEO services, we have partnered with Capture Commerce. Capture Commerce specializes in search engine optimization and conversion rate marketing. Capture Commerce comprises a team of experienced Internet marketing professionals who do business ethically, aggressively and with excellence. Search engine marketing is their primary business focus and has been since their founding in 2000. Because they endeavor to be a leader in search engine marketing, they stay current with the fast pace of this young industry and, therefore, know what it takes to achieve top rankings for our clients. This is the knowledge and passion we bring to each project, whether it's our first or 50th job for a company. The ideal time to have an SEO consultant review your design is while the web developer is creating the template design of the site, including navigation structure. At this point, many important elements should have been defined: keywords to target, content, architecture and navigation. If the design of your site is heading in a direction that is not search engine-friendly, an SEO pro can correct the issues before the entire site is developed - saving time and money. Search engine-friendly design does not mean your site will now rank at the top of the search engines, but that the search engines can find and index your pages. Search engine optimization is the process of preparing each page of your site to gain top search rankings for specific search terms. Requiring cookies on your website prevents spiders from indexing your content. Web pages that require users to input any type of information in order to access the content blocks search engines from your pages. Shopping cart systems that invoke session IDs. All shopping cart systems utilize session IDs, but the further along a shopper is in the buying process without a session ID, the more search engine-friendly the system. To learn more about our "SEO First" approach to web design and SEO marketing, please see our partner's website, Capture Commerce. 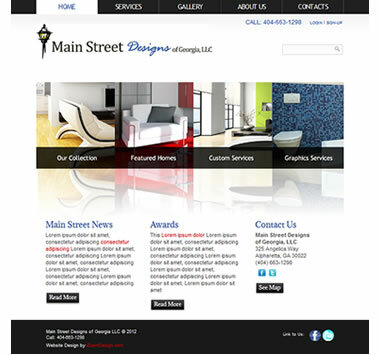 We offer managed web hosting to our design clients who need ongoing webmaster services. If you need web hosting, and are interested in using our webmaster services, we can offer you managed web hosting at an affordable rate. We set up everything for you, transfer your newly DESYNED site to the server, and set up your email accounts and auto forwarding. We can also register your domain name for you. We work for you as your personal webmaster. Therefore, site related tech support is provided by us. These webmaster services and maintenance packages are offered on a yearly retainer basis. Non-CMS Hosting is $20/mo. one year in advance, billed yearly. CMS Hosting without eCommerse is $50/mo. one year in advance, billed yearly. CMS Hosting with eCommerse is $95/mo. one year in advance, billed yearly. If you are interested in your own hosting account, without using us for on-going maintenance, we recommend that you consider your own account with Hostek.com. If you would like us to register and manage your domain name, we charge $35.00 per year to register and manage your domain record, and billing. Using Flash and XML, load text externally from an XML file that can fit any custom location on your web page. The XML files can be easily edited with any text editor. The 3D Wall is a collection of thumbnail and larger images that can rotate, zoom in and out, and are clickable to access a particular URL. Images are loaded externally using a XML file. This photo gallery scrolls multiple thumbnails that manify as the cursor rolls over them, then enlarges as the user clicks. Arrows also give control to go forward and back through the gallery. This is an elegant treatment to a logo with presentation text defining a point about this subdivision. This animation combines rotating images with a navigation bar to emphasize 4 specific areas of the site. This particular animation is set on the page with a custom page background, and custom page edges. This effect is created by a JumpEye transition component, and loops. 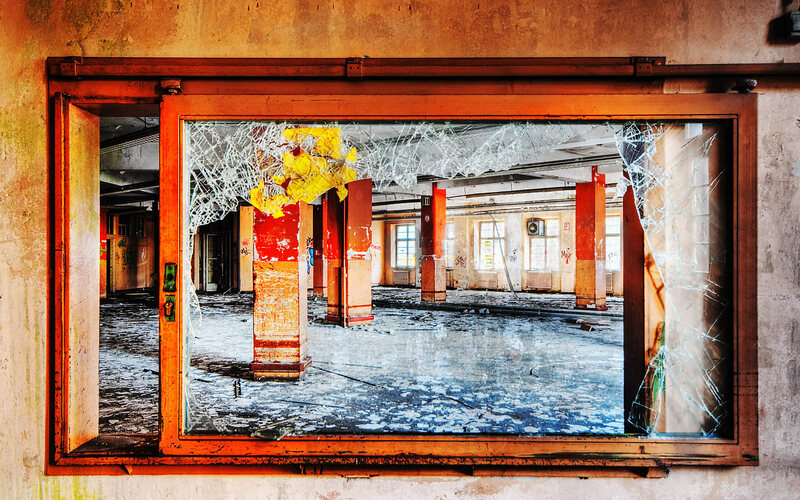 This photo gallery is dressed in a creative view finder. This animation was created for Camp All-American to match their 2007 camp theme. This image slide show loads images externally from an XML file, and can be customized. This animation hi lights sections and upon clicking each section, a detail page pops up displaying an image and text. 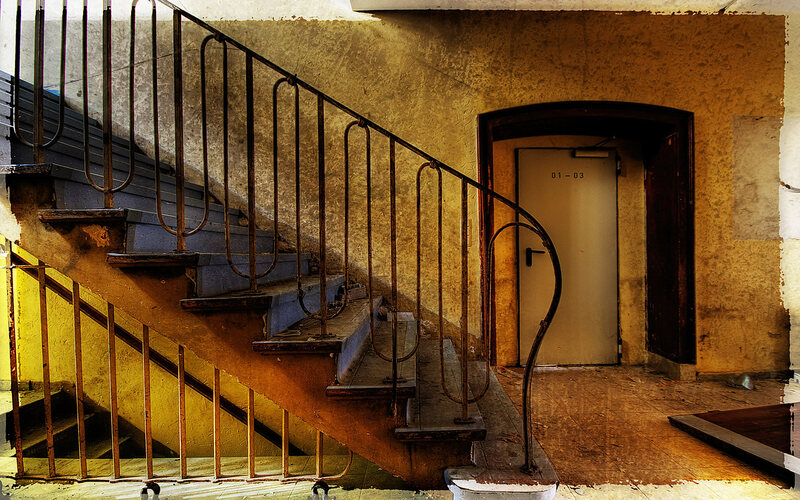 This is a simple photo gallery displaying either 7 or 14 images. It has a cool transistion effect and controls. This animation hi-lights sections and upon clicking each section, a detail page pops up displaying an image and text. Both the map and the text titles at the bottom each have a functionality of displaying the details page. One with a click, the other on mouse-over. This high-end image scroller pauses each image with an elastic stop. The scroller can be controlled with buttons for stop, forward, back and resume. The images are imported from an exterior source as the images are loaded using XML, therefore the movie file size is small, yet an unlimited number of images can be loaded. This is a splash page for Perimeter Church. This logo is a series of logos created for Building Consortium. This logo was created for Perimeter Church's weekly newsletter sent to over 6000 members weekly. This logo was created for EMA Outsourcing. This logo was created for Sip & Smoke, a quality Humidore.